In our company’s first year, we have proudly and successfully handled over a dozen transactions, managed a handful of properties and are launching a way for our company to give back to our community. 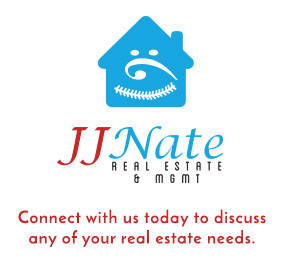 That is why J J Nate Real Estate & Mgmt is launching “Heart of Sold.” With every closing, whether sale or lease, our company will donate a portion of our commission to a charitable organization. We also foresee “Heart of Sold” sponsoring neighborhood events that give back to the community. As we finalize details, we’re excited about what’s to come. If you have an organization or charity that you feel needs our support, please share your thoughts and ideas! Thank you for a wonderful first year. We are excited for all that is to come in the next year. Remember, whatever your real estate need, we’re here to help.